McAfee Security Scan Plus. Actively checks your computer for anti-virus software, firewall protection, and web security, and threats in your open applications. 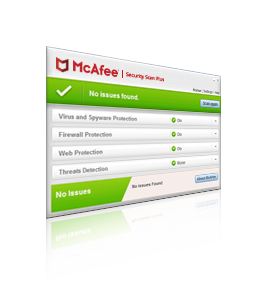 McAfee Security Scan Plus is a free diagnostic tool for you to check your computer for core protection and determine if its on and up to date.